Not your typical rubber band. 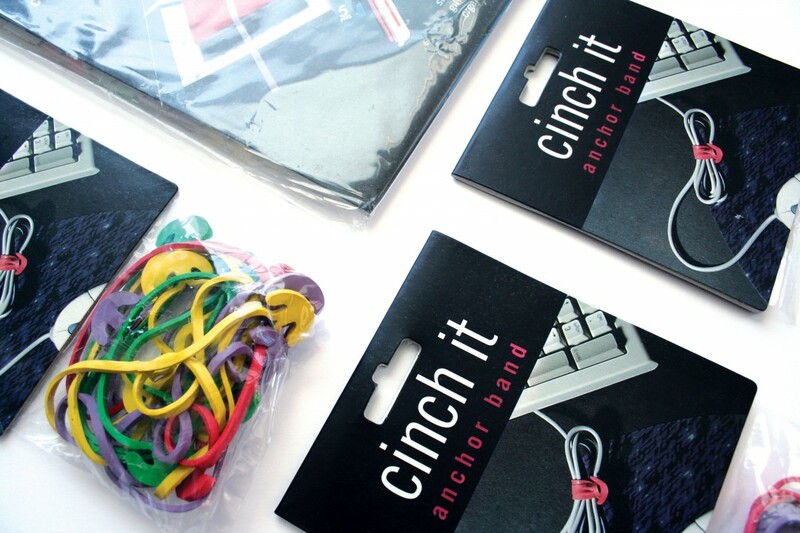 The packaging challenge for Cinch It, a set of multipurpose organizational products for home and office, was that it could be found in at least six separate types of retail stores and sometimes, in six different departments within a single store. Eye-catching, simple graphics demonstrate product function and create branding for product line extensions.